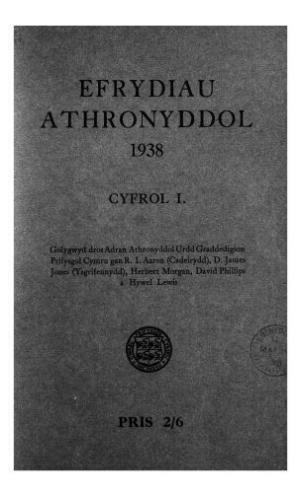 Efrydiau Athronyddol ['philosophical studies'] is published on behalf of the Philosophy Section of the Guild of Graduates of the University of Wales. It contains philosophical papers, book reviews and obituaries. Its contents are in Welsh throughout. Publisher Details: The University of Wales Press was established by the University of Wales in 1922.